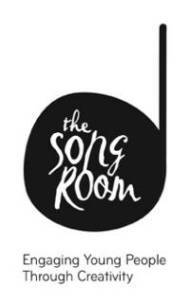 The Song Room is a national, not-for-profit organisation that provides opportunities for enhanced learning and development for disadvantaged children through music and creative arts. Whilst international research has demonstrated that children who learn music and arts have improved educational, social and personal outcomes, currently in Australia up to 3 out of 4 children in government primary schools have no music teachers. That equates to over 700,000 children without access to music, and often they are the children who need it the most. The Song Room targets its long-term, free and tailored programs to disadvantaged children who would otherwise not have such opportunities, including socioeconomically disadvantaged children, urban and rural indigenous youth, children with learning, health or behavioural challenges, new migrant arrivals and children for whom English is a second language, children at risk of juvenile crime involvement, very young children (0-5 years) in disadvantaged areas and children in geographically isolated and remote regions. So far The Song Room has reached over 150,000 disadvantaged children with its unique programs and is currently reaching over 40,000 disadvantaged children per year. PPCA has supported this wonderful organisation with funding of $50,000 per annum for over three years. For more information or to find out how to donate visit The Song Room.